After being emptied of inmates in January, the Avalon Correctional Center in Tulsa again holds more than 200 offenders. Serious violations by inmates plagued Oklahoma’s two largest halfway houses for three years before the state took action in January by removing all inmates from one and later demanding a corrective plan at the other. State data analyzed by Oklahoma Watch show that from 2010 to 2013, the rates of serious “misconducts” by male offenders quadrupled at the Avalon Correctional Center in Tulsa, run by a for-profit company, Avalon Correctional Services Inc. After a video of an alleged guard-sanctioned fight there came to light in January, the Department of Corrections pulled out all 212 inmates. Ten months later, more than 200 inmates again are in the facility. 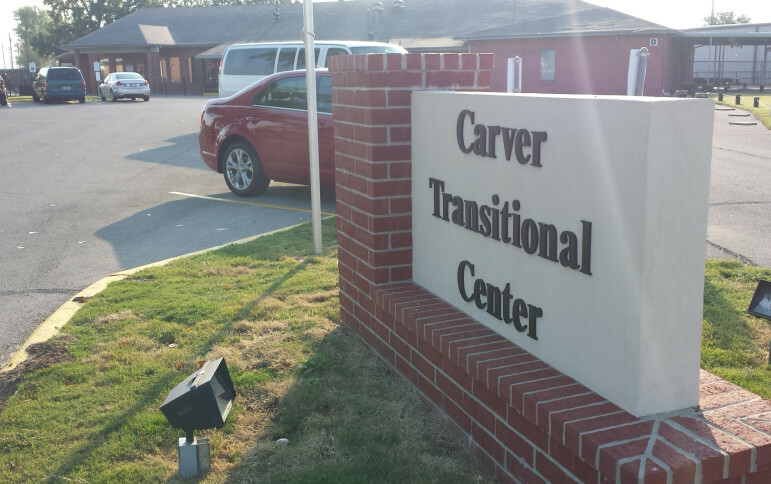 Violations also spiked at the Carver Transitional Center in Oklahoma City, also operated by Avalon. The rate of serious misconducts nearly tripled from 2010 to 2012 before slipping last year. In March, the corrections department gave surprise random drug tests to 153 Carver inmates, and more than half tested positive. The state ordered an action plan to fix the problem, and since has added offenders to the facility. A prison watchdog group, OK-CURE, questions whether the state Department of Corrections should place so many inmates in Avalon-run facilities given the history of oversight problems. Avalon Correctional Services, based in Oklahoma City, now houses more inmates in its two male halfway houses than it did two years ago, when serious violations were climbing. Corrections Director Robert Patton said Avalon has taken steps to address concerns of oversight at Avalon Tulsa and is paying for a corrections department monitor to stay at the facility. The department also is monitoring the Carver facility, corrections officials said. Preliminary data show that in recent months serious violations by inmates have dropped at the Carver and Avalon Tulsa halfway houses. A big reason the state wants to reduce violations, such as drug use, at halfway houses is because the rise in serious misconducts has hampered the state’s ability to shift more inmates from overcrowded prisons to halfway houses, Board of Corrections minutes show. Inmates with egregious violations are usually moved back to higher security levels, taking up beds that might be filled by other inmates eligible to be gradually moved down into halfway houses. To ease the problem, the state earlier his year revised its policies to expand the pool of offenders eligible for placement in halfway houses. The goal of halfway houses is to help nonviolent offenders near the end of their sentences find a job and prepare for life outside of prison walls. Inmates live at the facilities and can leave for a job or to find work or attend church; halfway house staff members are supposed to track their whereabouts. Drug tests are also given to the inmates. When halfway house inmates violate rules or laws, they are subject to discipline. They can be removed and returned to a higher-security facility and, until recently, were ineligible for halfway-house placement again for at least a year. With serious violations, called “Class X Misconducts,” offenders are almost always removed and rarely, if ever, returned to a halfway house, corrections officials said. Examples of Class-X violations are escape, possession of drugs or a weapon, and assault of staff members. In 2011, serious violations began to rise sharply, driven largely by increased numbers and rates of violations at Carver and Avalon Tulsa. Many of the violations were possession of an unauthorized substance and escape. From 2010 to 2013, the annual number of egregious misconducts at Avalon Tulsa more than doubled, to 48; the rate, meaning the number of violations per 100 placements, quadrupled, analysis of data shows. At Carver, the number of Class-X violations more than doubled in 2011, to 49, and the rate more than doubled; the rate and numbers at Carver dropped in 2013. From 2011 to 2013, the total number of inmates placed in Oklahoma halfway houses declined by nearly 30 percent. Late last year, more than 380 halfway house beds under contract were not being used, Board of Corrections minutes show. Corrections officials cited several reasons. Laura Pitman, deputy director of institutions, told the corrections board in November that in 2013, for about every three prisoners sent to a halfway house, one was returned to a higher-security facility because of a misconduct. That made the offender ineligible for a placement again in a halfway house for at least a year. The result was that fewer inmates were eligible for placement in a halfway house. Pittman said that so many halfway-house offenders were being returned to community corrections and minimum-security facilities because of misconducts that a “bottleneck” had developed in the flow of inmates into halfway houses. Department policy requires that offenders eligible for halfway houses be gradually stepped down through security levels before being sent to a halfway house. An inmate in a minimum-security prison must first be transferred to a community corrections facility for 30 days before entering a halfway house. But that inmate couldn’t be moved to the community corrections facility if many of its beds were taken up by offenders removed from halfway houses. Reginald Hines, deputy director of the community corrections division, cited other possible factors. He said in an interview that the eligibility pool for halfway houses is limited because only certain inmates qualify: those convicted of non-violent, non-sexual offenses who are near the end of their sentences and have good behavioral records in prison. 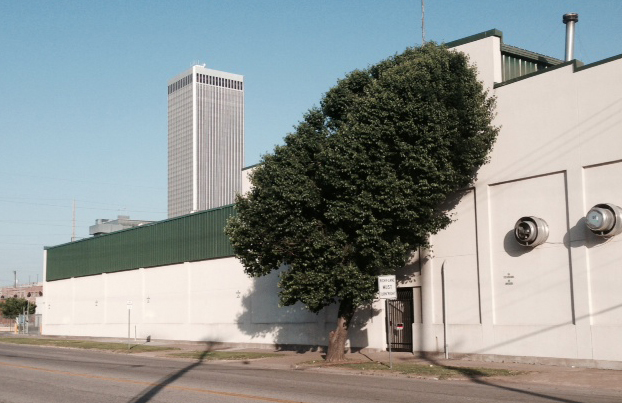 The limits are stricter at Avalon Tulsa because a city ordinance prevents the facility from housing convicted drug traffickers, Hines said. Another issue is that more prisoners are serving longer sentences or must serve at least 85 percent of sentences before becoming eligible for parole or halfway houses. An additional factor is that the corrections department has expanded its GPS monitoring program, giving early release to some inmates who otherwise might go into a halfway house. The main issue presented to the corrections board last November, however, was that many more inmates were being kicked out of halfway houses for misconducts or failure to obtain employment. Hines said offenders removed because of Class X violations almost never returned to halfway houses. Below are the most common of the 4,554 “misconducts” recorded in Oklahoma’s eight male halfway houses from 2008 to 2013. After the fight video at Avalon Tulsa came out in January, the corrections department pulled all of the inmates out of the facility, saying it had lost confidence in the oversight of the facility. Avalon Tulsa inmates later sued, alleging staff members were involved in drug sales among residents and guards, falsified drug test results, engaged in extortion, and arranged fights and beatings between inmates as a form of punishment and gambling activity. The suit also alleges guards altered misconduct reports to prevent inmates from being returned to higher security facilities, which would deprive Avalon of payments. A state investigation into the fights is complete, but the agency refuses to release the report, saying it is not public record. Brian Costello, president of Avalon Correctional Services, said he would not comment on a pending lawsuit. In an email, he said improvements have been made to Avalon Tulsa that will ensure the security and inmate and staff safety. The company also is making improvements at the Carver center and is working with the corrections department on offender employment rates, returns to higher security levels and monitoring, he said. The company is “confidently looking to the future in our relationship with the Department of Corrections and our ability to provide the very best reentry and reintegration services to offenders as they prepare to leave Oklahoma’s prison system,” Costello said. Corrections department spokesman Jerry Massie said Patton reviewed Avalon’s corrective plan and agreed to let offenders back into the Tulsa facility. Lynn Powell, director of the prison reform group OK-CURE, said she questions whether all of the issues at Avalon Correctional facilities have been addressed. She cited the large failure rate of surprise drug tests conducted at Carver in late March. Most drugs detected were related to marijuana; others to methamphetamine, PCP and opiates.